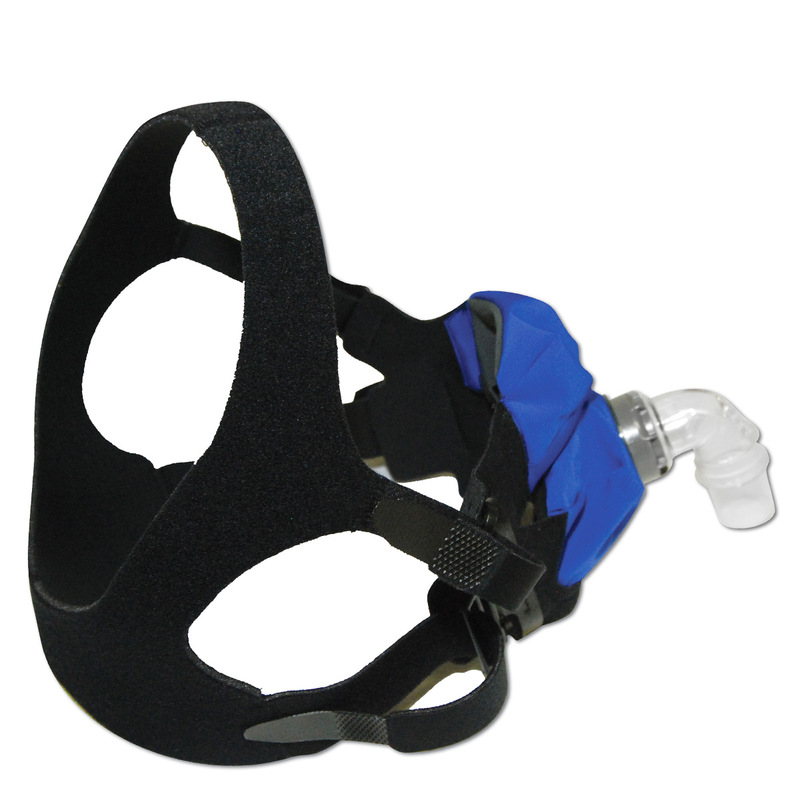 The SleepWeaver Anew CPAP/BiPAP mask combines the best qualities of the original SleepWeaver with an innovative dual-chambered cushion for full face mask users. The Anew's soft fabric cushions gently inflate, like a balloon, during therapy to create a soft, reliable, leak free seal without pinching or pressure points. Anew cloth is breathable so the mask feels cool and dry to wear; and the fabric feels natural on the skin unlike the plastic and silicone of most CPAP mask solutions. Inflatable Soft Fabric Cushion: SleepWeaver Anew's dual-chamber cloth cushion inflates like a balloon during sleep therapy pressing gently against the nose and mouth to create a soft, leak free seal. Unlike the plastic and silicone of most CPAP mask solutions; high-tech SleepWeaver cloth cushions feel cool and dry, allowing the skin to breathe naturally, wicking away moisture, eliminating pinch points, and reducing pressure marks. Allergy Free & Easy To Maintain: The SleepWeaver Anew is super lightweight, durable and easy-to clean. To care for your Anew simply wash it by hand in warm water with a mild, non-abrasive soap and then leave it to air dry. SleepWeaver Anew is Latex and Silicone Free so it's great for allergy sufferers. 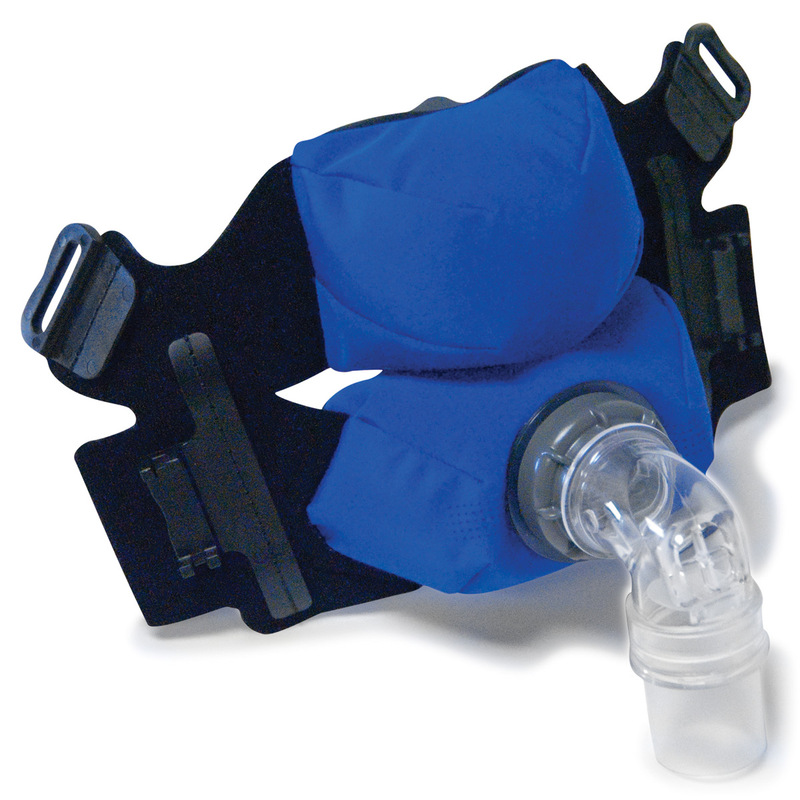 It has been tested and approved for use between 4-30cm H20 on CPAP, BiPAP and APAP systems. Soft, Adjustable Headgear & An Open View: The Anew's headgear is designed to provide a comfortable, secure seal without requiring a forehead support or over tightening; in fact Anew performs better when the headgear is worn slightly loose. The open style of the headgear is ideal for people who wear eye glasses as it offers virtually unrestricted vision; it's perfect for people who like to fall asleep while reading or watching TV. Anew headgear is adjustable to a wide range of faces and is easily adjusted even with the mask on. Two quick-release clips make the SleepWeaver Anew easy to put on and take off. No Rigid Frame & An Adaptive Seal: Like all SleepWeaver masks the Anew has no rigid plastic frame or silicone cushioning so the entire mask is free to flex, bend, compress and move with you as you sleep. In addition the Anew comes with a double swivel elbow so tubing can be channeled in any direction you prefer -- over the head, down the chest, or to the side -- so you can sleep your way without tubing interference. 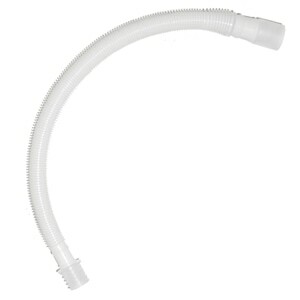 Quiet Exhalation: The mask's exhalation valve is made of a series of small holes on either side of the elbow so there is no direct stream of air to irritate bed partners and exhalation is very quiet. Sized For You: The SleepWeaver Anew is available in three sizes -- Small, Regular & Large -- to fit a wide range of users. In The Package:Complete Cloth Full Face Mask with Cushion (Small, Regular or Large), Headgear, and Instructional CD with Booklet. The mask was definitely more comfortable than my Quattro FX pro. However I couldn't get it to seal at even 10 level of pressure and I use a level at 15.5. I tried numerous adjustments and placement on my face. I really wanted this to work but had to return it. I was thankful for the 30 day factory return policy and the ease with which cpapXchange makes the return process easy. Best mask I have used. Most hard plastic masks with the silicone seal are still too broad for my skinny face. Half way through the night, I changed back to my silicone mask. This mask could not keep a seal! The sound and feeling of the leaking air kept me up. Don't waste your money! I have some issues with the plastic CPAP masks and skin reactions. I was hoping this would help. If I can't get to sleep, I would rather have the skin irritation! I opened the package and took one look and sent it back. Cheap cheap cheap! Through ahead could shift over your nose and you’ll have foot looks like this apparatus. Tried to adjust. Linked badly. Tried adjusting. Wore for one night. Report was bad. Does not seal very well. Not good at night. Very soft and I like the fact there isn’t any hard plastic on my forehead. It is easier to sleep on my side with this mask. I have tried this product, first received a medium, returned it for a small due to massive leaks. 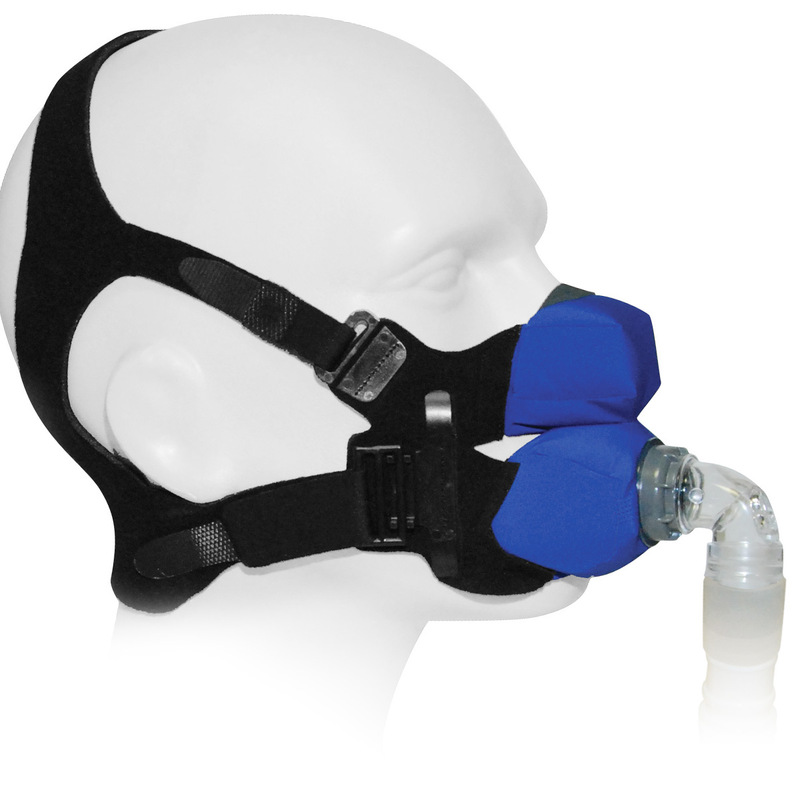 When I received the small it still leaked no matter how I adjusted the straps and then, after about two to four night use the mask was leaving sores between my nose and my upper lip. I complained three times to the manufacturer who basically ignored me. I would not recommend this mask to anyone. I loved this for comfort but I am a VERY restless sleeper and would pull my mask off on the pillow so it would leak. Comfort level was a 10 though for someone who doesn't wrestle alligators in their sleep. My machine is set a 16, this masks will not seal at that pressure. Barely seals at starting pressure of 4 then you move your head and its leaking at 4. I like the mask very comfortable I wish it would seal. I ordered a regular gonna try a small like some reviews suggest a smaller mask might seal. It's worth a shot for the comfort. Even after reading the reviews that go from 1-5 stars for the Dream Weaver Anew I decided to give it a try. I tried the Resmed Mirage Liberty and it was great until I reached my Prescribed H2O Pressure of 15 and then out pops at least one nasal pillow and it blows your mouth open with such forse your cheeks puff out waking you up with a dry throat and even at high humidity. I received the Sleep Weaver Anew with the regular size (My current mask of preference is the resmed P10 nasal pillows, but as I am a mouth breather I have to use a chin strap, NO FUN) so after trying the Anew I found like others have said "LEAK LEAK AND LEAK and that is what happened but just at the nose area at high pressure. so I thought I'd return it for a smaller size and as I guessed boom it sealed great. so I suggest before you give up on the Anew try a smaller size, that might just solve your leak problems, it did for me! I kept trying for the full 30 days to get this mask to fit but still had a big air leak above my nose. Otherwise I really liked the fit and feel and would recommend that others give it a try. High hopes but did not work for me. I found it very difficult to seal and once it was sealed any slight movement would cause it to leak. The plastic elbow has no support from the soft material so any movement on the elbow caused the mask to move and leak. I tried to tighten it more on night 2 to get a better seal and the result was neck discomfort. 2 nights was enough. I sent it back. It is very light and does not leak. I love it never slept so good!! I highly recommend buying this mask its great! I have tried many different full face masks and they all leak air and hurt my face. The sleepweaver anew soft mask is the best solution for me. Less leaking, much more comfortable on my face. I will never go back to a hard plastic mask. It leaks around the eye area no matter much I adjust it. It also would leak sometimes from the corner of my mouth. Material felt poorly made. I don't think it will hold up long. The straps also indented into my cheeks no matter how loss they were. I went back to my total face mask. Please don't give up on this idea, Sleepweaver!! Why, oh why did they put a dip at the top of the cheekbone area, with nothing -- no strap in the right place, no thickness -- to seal off the hole that a train could drive through? It is so very soft and comfortable, but I can't get it to stop leaking without holding my hand to it. I give it a 2 instead of a 1 to encourage the manufacturer to literally go back to the drawing board and improve this -- you are on the right track!!!!!!!! Please don't give up!!!!!!! In the meantime, I am consoled by the fact that the Remzzz full face mask liners are making the old plastic mask more comfortable than it was before, and with a better seal. Worst mask I have ever tried. I don't know who could wear this mask. No matter what level of adjustment you make this thing will not seal! The mask is incapable of sufficient pressure around outside edge to even obtain a seal, especially above the nose. This mask was the answer to my prayers! I tried 2 other hard masks, and they were both very uncomfortable. I felt like I slept less because of the adjustments I had to make throughout the night and because of the moisture build up. I have neither of those issues with the SleepWeaver Anew. I did order the regular size, but returned it for the small. I now have a much better fit and have no problems sleeping! Thank you! It's loud and just doesn't seal. I really had high hopes for this mask, but I'm very disappointed. 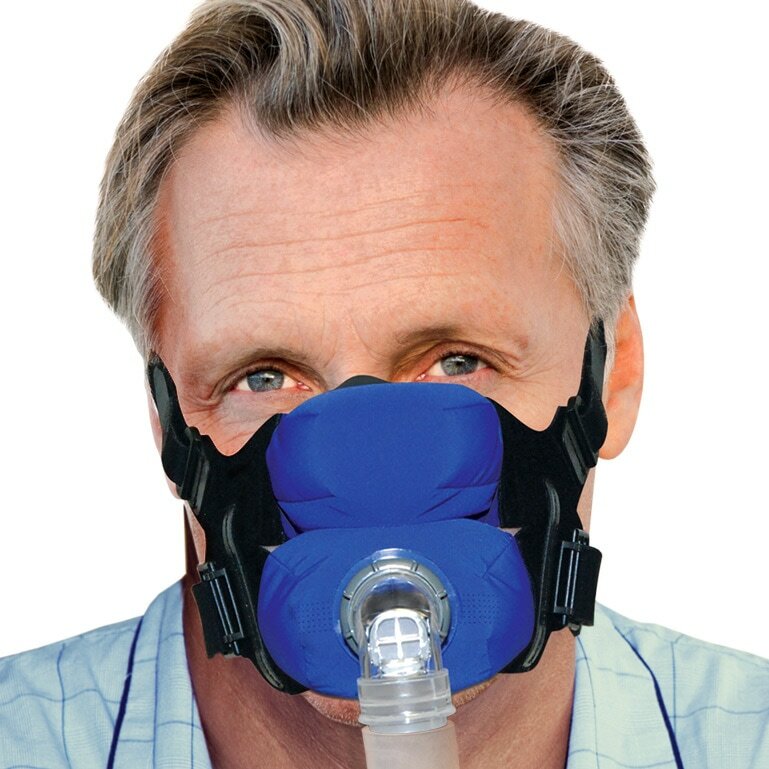 The softer side of sleep apnea. 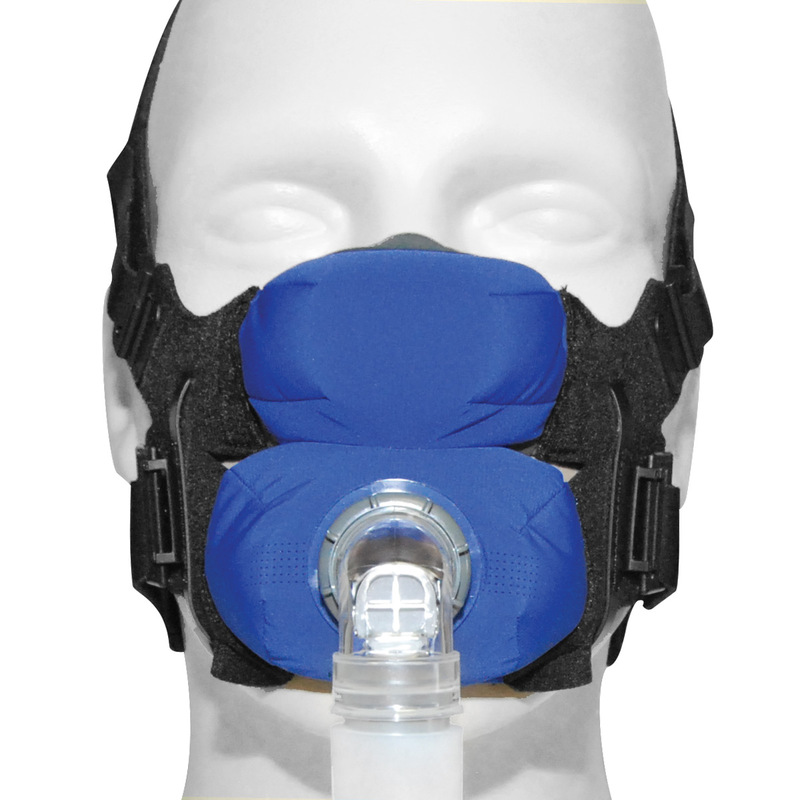 I have accumulated a variety of full-face CPAP masks since ,my diagnoses and this model and design drastically reduces the incidence of "face-creasing". With other masks, I had to allow lots of time upon awakening for my face to become normal and presentable. Not so with this soft mask. I definitely get a good night's sleep too! After the first night I was ready to send it back because I had terrible face fluttering. I tried it a few more nights and it kept getting better. When you get it right it is wonderful. I am learning some tricks to adjusting it and now I get it right about 80% of the time. When it is right it is comfortable and quiet. As many others said,it is difficult to put on and take off. but the worst thing is leaks during sleep. This is a poor fitting, poor quality almost cheap mask. 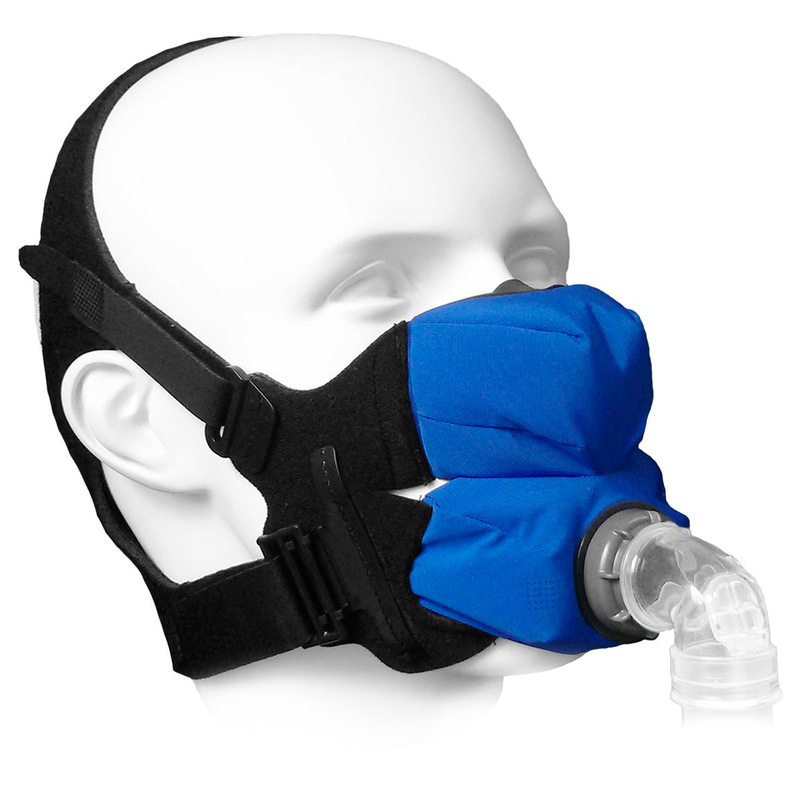 I have worn a cpap mask for ten years and this is one of the worst I have had. Do not recommend purchasing this mask. Best mask I've ever worn.I'm a side Sleeper and this mask is wonderful. No pressure sores or leaks I won't ever wear another kind of mask again. Thought this would be a great mask no face marks and comfortable, however watched the DVD that same with it and tried it for several night couldn't get any sleep kept blowing air in my eyes it would initally seal and then the minute I moved it would lose it. So unfortnately had to return it. With a slight change on how it seals it would be a great product. I love how much more comfortable this is than the regular plastic ones. I pull any mask off every single night regardless of what kind or what it is made of. This one I can leave on longer. I have not had any trouble with it not sealing. So happy with it! So comfortable! I would have loved it if it didn't leak like a sieve. The whistling sound prevented me from being able to sleep. At that point the comfort of it was not helpful. I thought the cloth would be helpful relieving some of the pressure that I have in the bridge if my nose and this mask helped with that tremendously. However, I am married to a very light sleeper and this mask was nearly as bad as listening to me snore at night (or so she said). It is certainly much noisier than its plastic counterparts and I even thought it was loud comparatively. I returned this mask within the 30 day timeframe and ordered a new full face mask that seems to be doing the trick in relieving the pressure at the end of my nose and is much quieter than this mask. This mask will works well, is comfortable, however it falls short in the noise department. I am having trouble getting the mask to seal. It is so bad that my wife made me stop using it because it makes to much noise. Leaks that cannot be corrected. I thought my experience would be different from the many other reviews. Wrong! Will be returning it for a refund. I loved immediately how comfortable this mask was compared to the plastic full face masks. I could once again sleep on my side without having to carefully place my face in the right indentation on the pillow! However I too had problems with leaks around the bridge of my nose. I called and made other contacts with customer service here and with Sleepweaver without much help, but verified it wasn't anything I was doing. But I wasn't ready to give up yet. One comment one customer rep said was that it sounded like I had a small nose (I think mine was normal to large) gave me an idea. I now tuck cotton balls next to my nose on with side and it totally takes care of the leaks!!! Been doing this for several months now. I tried double sided tape for awhile, but as I like fresh ones fairly often I find it easier just to tuck. Maybe once a month does once fall out. Hope this helps someone, it is a bit of a hassle and I hope the improve the seal soon, but it is overal still better than a plastic mask in my book. Could not get a seal! The idea is great, and I was so excited to try this item out. Unfortunately, I was not able to get a seal around my nose/cheek area. I watched the DVD for instructions, I even went to the Website to see if I could find any additional tips. No good. I've given up. It didn't work well for me not to say it won't work for someone else. Maybe because I have a beard not sure. I want to be a person who can benefit from the comfort of the Sleepweaver Anew Mask. It is so delightfully comfortable. I have not, however, been able to figure out how to stop leaks. With my nasal mask, I am down to 1-3 apneas an hour (from 37) - but with the Sleepweaver Anew, I am having 15 apneas an hour, and wake feeling tired. This mask has proven to be an excellent choice for me. It took a couple of days to get used to it, but I never want to go back to my old heavy, clunky plastic mask. I sleep much better, now. My exchange is a great fit. 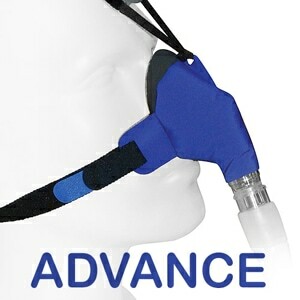 I've used my cpap for over 10 years with complete compliance. I wouldn't nap without my mask on. I have used some of the most uncomfortable masks and headgear. I knew there had to be something better out there. Now I know it's the Sleepweaver Anew full face mask. It take a couple minutes each night to put on and adjust but worth ever second. I would only suggest a change in the snap closer to something that would be eaiser on non-nimble fingers. My sleep quality is greater, mask is comfortable and almost or no morning line markets. I will continue to pay out of pocket for this great product. I have used this mask for the past week and have found that it is much more comfortable than the standard full face mask I was using. I find that it is easy to put on and take off and seals very well. I am sold on this mask. I was looking forward to receiving this mask, but now that I have it, I couldn't be more disappointed. It's very uncomfortable and now matter how I adjust the straps, I can't get the leaks on the top to go away. I've watched the dvd that came with it and several YouTube videos on it and nothing helps. I really like the cloth mask compared to the inflexible plastic one. If I could solve leaks along the upper seam, it would be ideal. I'm not sure if it's a size/fit issue or maybe just the shape of my particular face. And ordering the mask through the website was very simple. Better yet, they offered the lowest price I could locate anywhere on the internet. recieed fast, very comfortable and great assistance by phone. 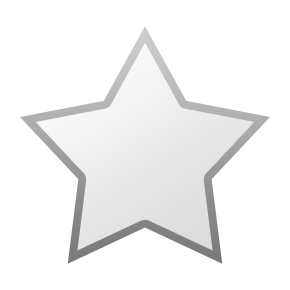 however only 4 stars because I measured with the on site assistance and it suggested a regular. I was small in one measuement and large in another so they suggested a "regular" size. Unfortunatly it is too large. I have sent this back and am awaiting confirmation for the exchange to a "small" anew. I am hoping it will be the magic of a sound sleep. we will see! I've been using sleep Weaver For quite some time. I'm happy with it but I'm opening my mouth when using it. Didn't like chinstrap. Thought this mask is the answer. Extremely loud wooshing sounds occurring when you're using. Couldn't get mask to seal. Instructions said to adjust looser than other full coverage masks... didn't work. Had to tighten as much as possible... still leaked. Thankful for 30 day return policy! This is the best SleepWeaver mask yet. I am going to switch to the Anew from now on. Very disappointed. Doesn't seal well at all and blows air into my eyes. Fit is uncomfortable. Binds under my nose and across chin. It seems much louder than my regular full mask. Fit is just weird. It seems like a good idea but needs lots of improvement. 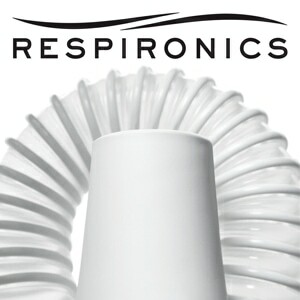 I think it is a great product. I like the comfort and it being over both my mouth and nose. I have to use a bi-pap machine. With the first SleepWeaver that come out, I had to use a chin strap as well. Now, I don't. I am a side sleeper and being made out of cloth I thought that this mask would be a significant improvement over the hard plastic full-face masks that get pushed into my face and nose when sleeping on my side with my face in the pillow. Unfortunately, while comfortable to wear it leaks badly into both eyes. It was so bad that I could not wear it even one night. Too bad, nice idea but poor execution. It's hard to assign a star rating to this. I think the design is an interesting idea. But in reality I believe the number of people who this will fit is rather limited. In my case the length from bridge of the nose to under the lower lip was good. But the nasal interface slot was too wide for my nose which meant unfixable leaks and an unusable mask. If it fits your face perfectly I think you'd probably like it. But I'm just not sure how many such people exist. I had the "normal" or medium size. There is a smaller size but I believe that while it would fit my nose width better it would likely be too short. So, I'm sticking with my Hans-Rudolph. You won't sleep well your first few nights with this mask. It really requires a lot of adjusting and getting used to. The key is to try to keep it as loose as possible and remember that your adjustment sitting up will not be what you need lying down. Adjust it in a lying position! I need a full-face mask, and this fits the bill actually because I am allergic to the plastic used in other full-face masks. This mask will give you a lot of leeway in sleeping positions that you have never been able to achieve. The headgear is really cheaply made. I don't know how long it will last, but you can tell the manufacturer cut corners especially with the side locking device.